Can Zoos Still Be A Good Place For Animals? Tackling animal welfare issues is difficult. Even with a strong and growing global animal welfare movement, animals are still seen by many as a secondary concern. We are however a contradiction in action, spending millions on our pets every year, while turning a blind eye to the suffering of hundreds of millions of farm animals. The moral choices that we make are often directed by our cultural heritage, which has created a compassionately picky society. No truer example is our attitude towards animals in zoos or captive wild animal facilities. The wide variety of species kept in zoos and the thousands of zoos across the world often leads to the assumption that keeping animals in captivity is acceptable and the norm. However times are changing. These days, through the numerous social media avenues, a more savvy and intellectually demanding public is challenging the necessity of keeping animals in this way. But the contradiction remains: there is public uproar when abuse or cruelty is highlighted in a zoo, yet millions continue to visit them - 700 million a year to WAZA (World Association of Zoos and Aquariums) zoos alone - to be entertained. The issue is not black or white, it's not even 50 shades of gray, it's a flamboyant multi-colored array of differing and passionate opinions. Zoos carry out conservation, they rescue animals, they educate people and delight millions of visitors a year. But a large number of zoos (mainly those not part of an accredited zoo body, of which there are potentially thousands) are also responsible for cruelty, limited or no conservation and educational conduct and unethical actions. Is keeping of animals in captivity the ultimate oxymoron animal welfare? 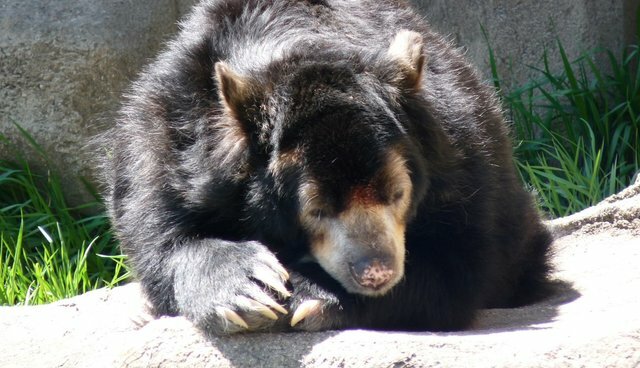 Can a more compassionate zoo mitigate these concerns while continuing to reach their commercial and conservation targets? WAZA institutions are among the main global providers of conservation funding, investing more than $350 million on ex situ and in situ wildlife activities annually. An impressive figure, although as with all statistics, one needs to probe a little deeper to determine its true value. Often the case is that the actual number of threatened species saved from extinction by zoos remains low and critically endangered species are left off the list, so does it matter that zoos are spending millions? Although zoos carry out in-situ conservation work on threatened species, the focus can sometimes be skewed towards mammals, particularly the charismatic primates and carnivores, while less attractive animal groups are underrepresented (n.b. this isn't always the case. Zoos can and do host successful programs for the lesser known species, but the media are less interested and consequently these successes aren't always championed). Historically conservation of a species has by and large taken priority ahead of the welfare of an individual animal or the ethical management of a captive population, but this demonstrates a naive and flawed approach for the majority of species. With an emerging movement in compassionate conservation, the two disciplines can work more coherently together, complimenting both the zoos conservation efforts without becoming detrimental to individual animals. It will take compromise and a change of attitude within the zoo community, but ultimately this compassionate approach will galvanize greater support from the wider public, the zoos' target audience, while continuing with the great conservation work they actually do. An argument used by many to justify keeping animals in zoos, is that we need to ensure we are inspiring the next generation to save our wildlife. But there is limited evidence that education is a successful output from zoos. This is offset by a recent report "A Global Evaluation of Biodiversity Literacy in Zoo and Aquarium Visitors" published in-house by WAZA, which claims that the study proved zoos and aquariums did teach us about biodiversity. However the increase in positive understanding was only five percent in a sample population of 6,000. More importantly, the real question is whether that understanding translates into tangible action that contributes to the care and conservation of species. Measuring the learning value of zoos is incredibly hard. The tendency is to measure plain knowledge - "Did you know that ..." type questions before and after a visit. What we are really looking for are positive changes in behavior and attitude towards animals and the environment rather than specific learning outcomes, which is much harder to attain. And in the main, it's not the zoos' fault. Incredibly dedicated zoo educators and increasing resources are funneled into providing sophisticated zoo education programs, but a visit to a zoo on a sunny day, lolly and balloon in hand, is so far removed from the real world problems that the animals in these institutions face, it is easy to see how hard the task is. Add on the fact that many zoos still offer elephant rides, petting and other interactive opportunities with supposedly wild animals and it is ultimately a confusing and mixed message that is being given. These zoos may not be part of the accredited zoo community (although certainly some are) but the public don't know or care about that. They see all zoos as the same. We can estimate that approximately 500 of the 8,000 plus (publicly accessible) zoos that espouse acceptable / high welfare standards and are trying to continually improve. But because people generally don't or can't differentiate between this group of zoos and the thousands of extremely poor zoos, the perceived and real problem continues. This results in confusing the educational messages that the better zoos are so desperately trying to deliver. For example, mixed messages has resulted in many people still believe white tigers are a rare and endangered species, not an inbred anomaly, or that elephant rides are an acceptable performance in zoos. But zoos can inspire and excite people on topical issues that the public are interested in, and what they are interested in is conservation and welfare of animals. The better zoos will provide the most stimulating exhibits for both the animal and visitor, but the question still remains, does this galvanize action? Again, pro-active zoos are aware of this conundrum and continue to work hard at trying to find the right ways to measure the true educational value, and from that adjust their agendas to provide support for both conservation and welfare. If all zoos recognized the value of stimulating exhibits and collectively provided a more consistent and compassionate approach to zoo education, the visitors might take home more than sticky fingers from their lollipops. Due to the educational and conservation aspects of zoos, the animals within them are often seen as populations rather than individuals. 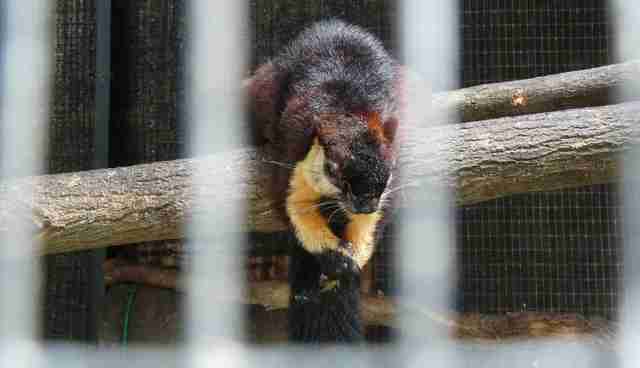 But much of the criticism directed at zoos is for the seemingly indefensible decisions sometimes made over individuals. Marius the giraffe, an exhausted topic, is a good example. Another is when animals are sourced from the wild. A notable example being the 18 wild caught belugas for Georgia Aquarium, and more recently, 30 plus elephants were caught in Zimbabwe, supposedly as part of the Zimbabwean's strategy to reduce the number of wild elephants found in Hwange National Park. These elephants, sentient, smart and socially complex animals, some as young as two-years old, are now waiting to be transported overseas to countries that do not have the specific expertise to look after elephants, particularly traumatized wild-caught youngsters. You'd imagine the accredited zoo community are up in arms about this. It goes against most codes of ethics and welfare and helps little towards the credible conservation work they are doing. But there's not been a peep from them. What can we take from this? Either they don't care or they believe they can't do anything about it. I don't believe it's the former, but if it is the latter they couldn't be further from the truth. The zoo community has a contract with society and must rise above the pressures of commercialism to make the right ethical choices based on both societal expectations and the moral obligations they have to the animals they care for. A compassionate and reasoned voice from the global accredited zoo community would lend significant weight to such an argument, while educating the millions of visitors that not all zoos are equal. Welfare is an important priority for many zoos. But prioritizing individual welfare alongside conservation and education every time, is still a long way off. Zoos that support efforts to improve sub-standard zoos, zoos that take on non-breeding or old animals (often because no one else will), zoos that join forces with animal welfare groups to rescue animals, zoos that refuse to hold certain species and zoos that speak out against unethical and immoral welfare practices - these compassionate zoos should be the future.